It’s Thursday January 31, 2019 and this is your weekly early morning Esports briefing. For additional longer-form esports news plus jobs, a team directory, glossary, calendar and data, check out our new esports hub updated daily: http://cynopsisesports.com. The National PUBG League is locked and loaded for its first-ever regular season, with play beginning this weekend as sixteen teams battle for a prize pool of $1 million and a shot at the World Championship. Created in partnership with OGN, talent on deck to carry viewers in its inaugural season will include Rachel “Seltzer” Quirico, Steven “Toffees” Pierce, Matrym, Mike “Porosaurus” Navarro, Cameron Davis and wtfmoses. The 2019 competitive season will be split into four types of events with three phases each with teams that include Adapt, cloud9, eUnited, Ghost Gaming, Lazarus Esports, Noble Esports, Oxymoron, Shoot to Kill, Simplicity, Smokin Aces, Spacestation Gaming, Team Envy, Temp Storm, Vicious Gaming, Why Tempt Fate and Wildcard Gaming. Matches start Friday at 8p/5p on Twitch. Earlier in the week, PUBG Corporation mapped out a slate of initiatives designed to support the professional esports teams associated with the game and its tournaments with perks that include profit-sharing on team and league-branded digital items, direct support of team operating costs, and event sponsorship. To directly bolster team participation in PUBG’s North American and European leagues, PUBG Corp. will help offset expenditures associated with team operation costs with expenses that include costs associated with team travel, housing subsidies and local transportation fees. Additionally, NPL and PEL-specific in-game items will be created starting with Phase 2 of each league with 25% of all in-game item sales dedicated to each of the teams in their respective leagues. Financial support will continue with hosted by official PUBG partners later in the year, where exclusive in-game items will be created for each of these global events and 25% of sales will go directly to the participating teams. Yesterday saw the 2019 eNASCAR PEAK Antifreeze iRacing Series host its first-ever player draft, with teams each selecting two driver to represent their organizations. 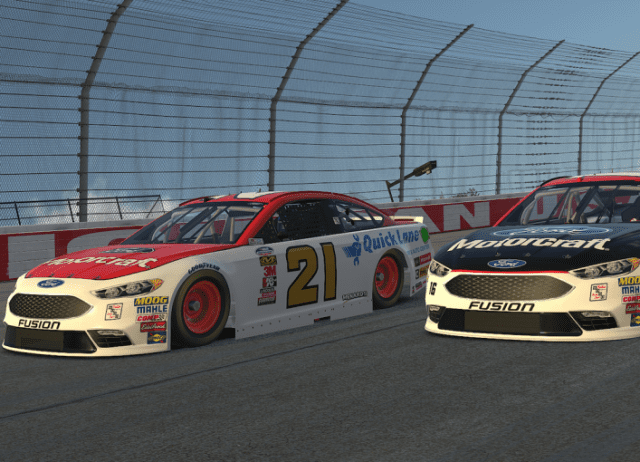 Participating teams included Joe Gibbs Racing Jr. Motorsports, Wood Brothers Raacing, Williams Esports and G2 Esports, along with the previously unannounced teams of Roush Fenway Racing, JTG Daugherty Racing and Burton Kligerman Esports to round out cast of 12 teams. Drivers will be racing with team designed cars and will compete for the $100,000 prize pool. In addition to the series cash prizes, iRacing has announced an additional $12,000 in cash bonuses for drivers that are drafted onto the official teams – $500 per driver. The series kicks off on February 12 at Daytona International Speedway. Psyonix detailed its plans for Season 7 of the Rocket League Championship Series, offering over $1 million in prizing and the addition of South America as an official RLCS region. Signups run through March 1, with qualifiers starting March 2. The Rival Series Play-In takes place in NA on March 30 with Europe’s the next day. League play then launches April 6. Riot Games announced that the 2019 League of Legends Mid-Season Invitational will hit Hanoi, Ho Chi Minh City, and Taipei in May, marking the first major global event ever to take place in Hanoi and Ho Chi Minh City as they host the Play-In Stage and Group Stage respectively, while Taipei will host Semifinals and Finals (Knockout Stage). Round one opens on May 1. In addition, Riot Games locked in a new host for the LCS Spring Split Finals, which will be held in St. Louis this year at the Chaifetz Arena. The LCS finalists will face off for a chance to represent the region at the 2019 Mid-Season Invitational. Collegiate StarLeague officially added NBA 2K19 to its upcoming lineup of tournaments, which span more than 1,600 North American schools, with a round-robin group stage set to launch on Feb. 16 before moving on to a playoff bracket of 64 teams, concluding in an in-person grand finals in April with $10,000 in scholarship prize money on the line. Save the date for the Esports Upfront on Tuesday, April 23 in New York City. Request an invite or learn more here. HyperX is bringing the HyperX Esports Truck – the mobile competitive gaming arena, owned and operated by Allied Esports – to host four days of free football video gaming and competition at the Super Tailgate Party starting Thursday in Atlanta. Marquette University announced plans to launch a varsity esports team in fall 2019, which will serve as “the first in the nation run by a major conference Division I athletics program.” When it launches in fall 2019, Marquette’s varsity esports team will be run like any other varsity sport: tryouts, a coach will be hired, regular practices will be held and the team will represent Marquette at esports tournaments. The new varsity team will be managed by the Department of Intercollegiate Athletics, in close collaboration with the Division of Student Affairs, the Klingler College of Arts and Sciences, and the Office of Admissions. Swedish Elite Football and DreamHack are teaming up for eAllsvenskan, played as part of the FIFA 19 Global Series. Twelve Swedish elite clubs will take part in the series, which is also being broadcasted by Discovery Networks Sweden’s streaming platform Dplay and on Swedish tv channel, Kanal 9, with the top eight teams advancing to the Grand Final event on May 26. Sea of Thieves (SOT) is a multiplayer pirate adventure game, in which gamers search for buried treasure, fight cursed skeletons, and engage in naval combat with other crews. The game has experienced a revival in game streaming viewership, boosted by popular streamers like Summit1G. Our insights focus on the game’s health, and key viewership stats generated by the game’s top streamers. Sea of Thieves as a target for your next influencer campaign: With the help of top platform influencers such as, Ninja, Dr.Disrespect, and others, have nearly doubled Sea of Thieves viewership. The game’s total hours watched increased by 2.8M since the previous week. Overall Game Health Improvement: Not only has SOT viewership increased, but the peak number of weekly broadcasting channels has increased by 49% since the beginning of the month. Streamer Adaptability: Although Ninja generated greater concurrent audiences, TimTheTatman generated 4,156 more followers than Ninja while streaming SOT, and may prove to be a more entertaining SOT streamer than Ninja. For more insights, analysis, and all things game streaming, visit us online at: blog.streamhatchet.com. Electronic Arts and the NFL signed on Bose, New Era Cap and Snickers to serve as the official brand sponsors of the Madden NFL 19 Championship Series. All three brands will integrate into series broadcasts to increase exposure with digitally-native NFL and esports fans and launch integrations in the Madden NFL 19 Club Championship running through Feb.2, running on Twitch, YouTube, Mixer and Facebook. The three brands will be authentically embedded into Madden NFL Championship Series broadcasts in a similar way to how they’re integrated into NFL telecasts, including commercials, highlight integrations, on-air product placement and additional shoulder programming. The 2018 Cynopsis Salary Survey of media employees found that age, most likely a reflection of seniority or experience, is reflected in average salaries. Those 46+ years report an average salary of $149,800. In contrast, younger employees earn $97,800, on average. Blizzard Entertainment inked a partnership with SPORT1 to bring content to eSPORTS1 in a two-year deal that brings rights to live and highlights coverage in German-speaking Germany, Austria and Switzerland of the Overwatch League and Hearthstone esports. 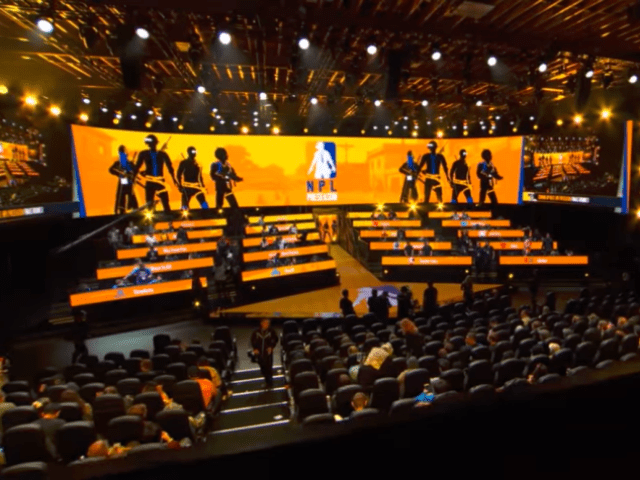 The contract also includes rights to highlights coverage of past Blizzard events from 2018 for Overwatch World Cup and the Hearthstone Championship Tour. RFRSH Entertainment agreed to a multi-year broadcast deal with Brazilian free-to-air TV network Globo for the BLAST Pro Series. The tournaments will be broadcast both on television through the sports channel SporTV and online through e-SporTV and SporTV.com with 2019 featuring eight different tournaments with the first being held in Brazil’s Sao Paulo March 22-23. Russia’s Media Alliance and GINX Esports TV are entering a partnership that will see Media Alliance be responsible for GINX channel local feed production, marketing and distribution. GINX will provide round-the-clock HD coverage of major events from the world of esports. “Esports audiences continue to grow exponentially. Russia has one of the most dedicated and passionate communities in the world. Any operator targeting youth audiences should be engaging with esports. GINX Esports TV is the world’s largest esports TV network, available in 50 million homes internationally. We’re confident that our partnership with Media Alliance will help us repeat our global success in Russia” said GINX TV’s Vice President of Affiliate Sales, Sam Butler. FanAI added esports data startup, Waypoint Media, under its umbrella and will now integrate Waypoint’s tools into their existing platform to provide “additional granular audience data points that give clients unique actionable insights in order to guide marketing, sponsorship, and fan activation decisions.” The deal includes Waypoint’s Twitch Middleware API, URL shortener and tracking platform Raven, and an engineering team with over five years of experience in esports data. In addition, the Raven URL shortener will enable FanAI clients to see a roadmap of how users browse their online platforms, supplementing FanAI’s current purchasing data to show further deeper looks at how the fans engage with websites, shops, and social content. As part of the acquisition, Waypoint’s Chief Product Officer, Kevin Hsu, joins FanAI as Head of Engineering. The 2019 League of Legends competitive season is officially underway, with both the LEC and LCS kicking off their spring splits over the last two weeks. 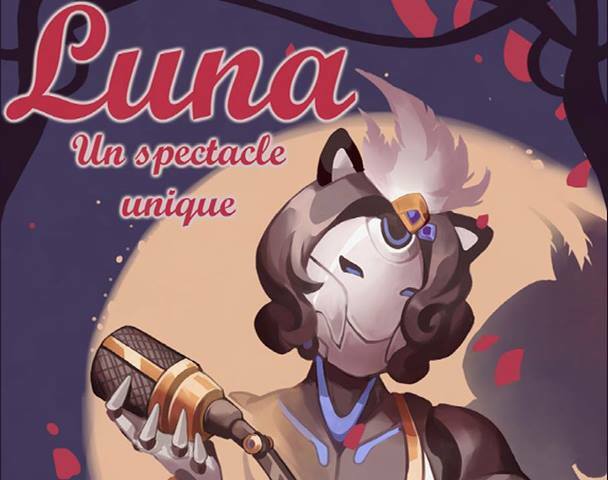 Among the many changes in the off season, Riot tweaked their broadcast formula by having the season opens on separate weekends. 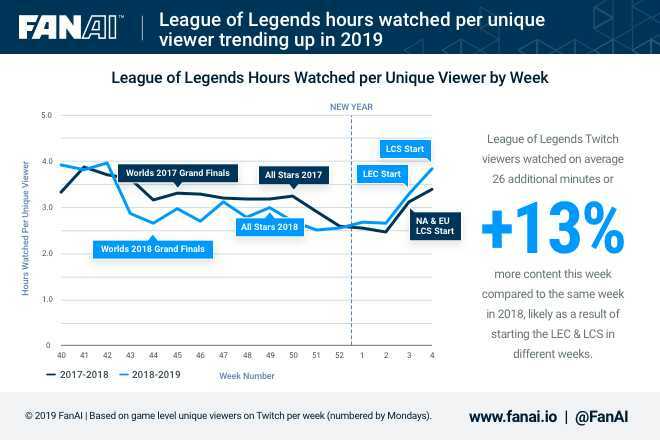 FanAI used Twitch viewership data from its recent acquisition, Waypoint Media, to see if Riot’s new broadcast choices impacted viewership compared to previous seasons. The change has resulted in a noticeable viewership boost over both weeks. Year over year viewership for January is up 8% on average, which equates to 14 more watch minutes per viewer each week. Average unique viewers also saw a 3.3% jump over the same period. While the staggered start is only one of the changes to the LEC and LCS broadcasts in 2019, it seems to have made a positive impact on the start to the season. More importantly, these results may lead to significant ROIs for Riot’s partners and this strategy can be studied by other leagues, brands, and publishers as a successful way to launch content while making the most of the Twitch viewing audience. Xbox chief Phil Spencer is going big for E3 2019, telling Major Nelson that this year will be “as big” as it’s ever been for Xbox, following the news that Sony would not be participating this time around. “There was some news about E3 back in the fall. We had a discussion internally about, ‘Should we go big?’ ‘Should we save some money?’ ‘What does that mean?’ We decided, no, we’re going to do our thing,” he said. 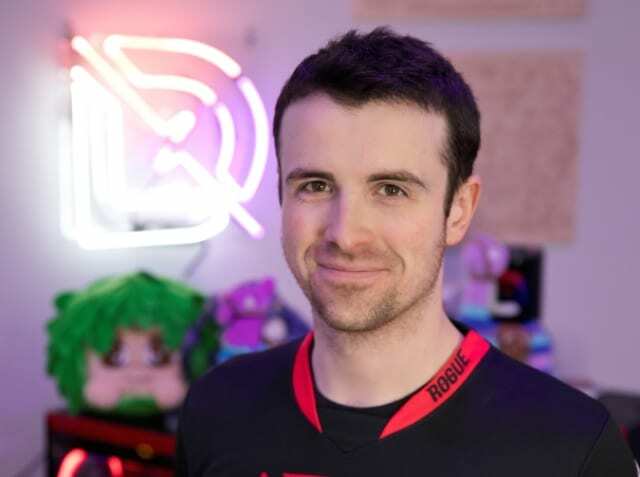 DOJO Madness locked in a deal with Sportradar to launch Bayes Esports Solutions, a joint venture that leverages esports data products for business customers, including betting companies, esports broadcasters and general media. “This will put us in a perfect position to take advantage of the projected 36% annual growth rate of the esports market from about USD 655 million in 2017,” said Martin Dachselt, Managing Director of Bayes Esports Solutions. GameWorks appointed Jonathan Tang to the post of chief financial officer, responsible for leading and managing all financial functions of the Company. Meanwhile, the company also named Darren Des Roches to the role of chief operating officer to oversee day-to-day operations while Michael Sadowski was named to the newly created position of chief marketing officer. “We are fast-assembling a strong management team of seasoned executives, each of whom bring extensive related career experience and talent to the Company. All of these professionals possess the necessary background and knowledge needed to grow this Company quickly and profitably. Jonathan, Darren and Mike bring distinct business acumen and niche specialties to their roles, which will prove to be significant as we position GameWorks and our brand for the future,” said Philip N. Kaplan, chief executive officer at GameWorks. Register today for thought-provoking panels led by short form experts from ATTN: , CNE , Kovert Creative , Viacom and Whistle; an awards program spotlighting our impressive 2019 finalists ; and networking, networking, networking! Panelists will address crucial industry topics, such as: Finding The Right Platforms For Premium Short Form Video and What Advertisers Want From Short Form Video . ON THIS DAY in 1999: Silent Hill is released. For more news and coverage, check out: http://cynopsisesports.com (updated daily). Work within the Enterprise BI team, supporting the creation of data pipeline processes for ingesting data at large scales. Collaborates with Tech Art, Design, Engineering and Art teams to make recommendations and decisions regarding overall art vision. Individual contributor that develops, writes and debugs code for video game software and tools with a specific focus on engine programming. The ideal candidate has experience rigging human and non-humanoid characters along with mechanical vehicles and props. Design, implement, debug and document new game systems and tools in C++. Distil large volumes of consumer research and feedback into tangible and actionable insight that the studio team can use to optimize the player experience. Extend and maintain core and mid-level solutions for efficient networking of complex open-world game environments. Develop, maintain, extend and support a wide range of facial animation and rigging performance capture systems, editing pipelines, tools and runtime systems. Oversee every aspect of the UI pipeline to ensure the production of each feature stays on course and is delivered on time. Working closely with the fellow programmers, artists, and designers to meet the technical requirements of the game design. Drive technical issues to resolution while coordinating across teams. Should be responsible for quickly creating high quality key-frame animations in both realistic, and stylized/cartoony style. Provide clear documentation, wireframes, and/or prototypes for game mechanics.